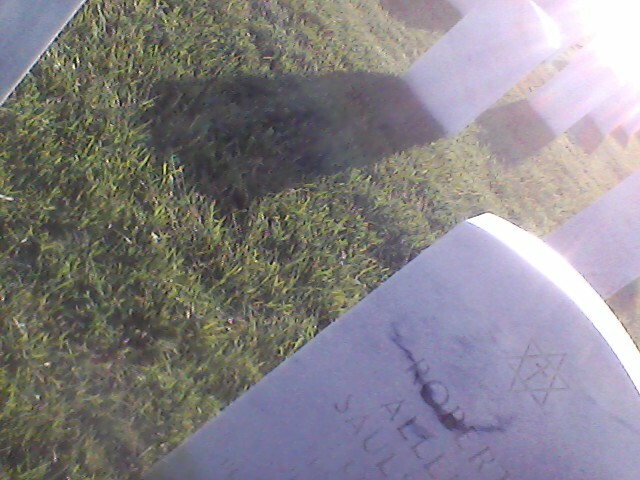 Sacramento Valley Memorial Cemetery, where my father Robert Allen Saulson is buried. Memorial Day is a commemoration of the men and women who lost their lives in service of this country. Many of us also express our gratitude to the men and women who serve on this day, just as we do on Veteran’s Day. I am the daughter of a veteran, the niece of a veteran, and the granddaughter of a veteran. Although all three of these men in my family who served came home in one piece, neither of them were the same. My grandfather, Leon Mathews, came home from Korea with a broken mind. They didn’t know a lot about PTSD, or as they called it back them, shellshock, and so when he began exhibiting signs of paranoia and yelling at people who were not there, he was diagnosed with schizophrenia. My grandfather probably was not schizophrenic: men do not usually start exhibiting signs of schizophrenia in their thirty. I am grateful that my grandfather came home, although he was deeply affected by the war. My mother and my aunts and uncle were deeply affected by my grandfather’s illness: my mom is the oldest,and she was twelve when he came home. 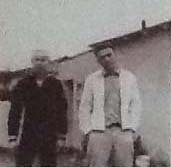 My dad in his navy uniform, with his brother Jimmy. In my English 1B class this semester, we read two book on war. One was Ceremony by Leslie Marmon Silko. It was about Native American soldiers returning from World War II, and particularly, Tayo, the main protagonist, who has PTSD. The confused narrative of the story emphasizes the state of mind of its point of view protagonist. When I read it, I naturally thought of my grandfather, a tall, dapper black man who was usually sharply dressed with a fashionable fedora. He was born Feb. 12, 1924 and died on Dec. 21, 1993. He was a private in the Army, and is buried at Riverside National Cemetery. I couldn’t find the picture, but I did find some video from that graduation ceremony which was used as part of this 2002 documentary short I made. 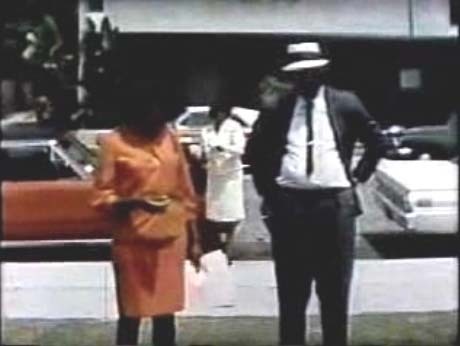 The video is from about 1967, and my mom is standing next to my grandfather, pregnant with me. You can’t really tell what they look like, but you can definitely recognize their fashion sense. 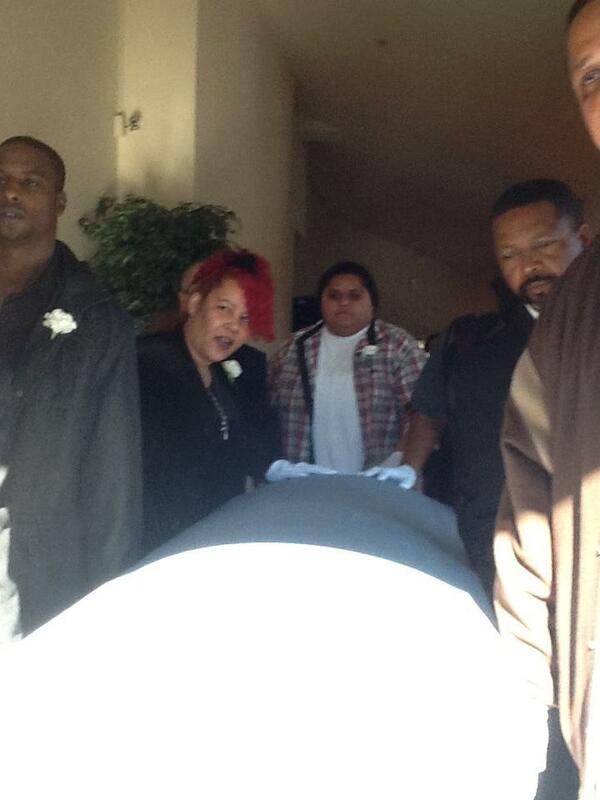 Carrying dad’s casket after his service. 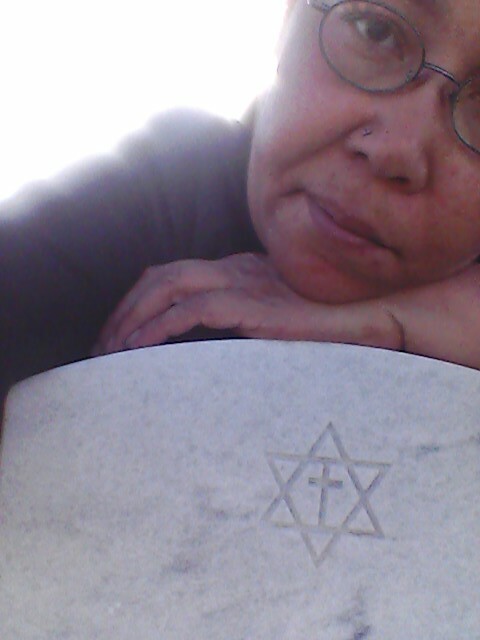 My grandfather was part Native American, like Tayo, but he wasn’t half white. He was either half or three-quarters black, we aren’t sure, but his father was a Blackfoot out of Virginia, and he was a recognized tribe member who lived on the reservation. No one can seem to recall if my great-grandfather was also part black, but a lot of the Virginia Blackfoot were. The Things They Carried by Tim O’Brien was the second book we read, and that was about Vietnam vets. It reminded me of my uncle Jimmy, and my dad, two other servicemen in my family. Jimmy, who was injured in Vietnam, and my father, who served in the Navy just before Vietnam was a declared war. There were already soldiers in Vietnam when my dad served, but he was a radio technician in the Navy and served in Iceland. Uncle Jimmy was shot before the helicopter he was in even had a chance to land in Vietnam – gunfire pierced the helicopter and hit my uncle where he sat, piercing his bottom and injuring his back. He spent the rest of his life with a back injury. It also reminded me of the many soldiers who I’d met over the past decade who served in Iraq and Afghanistan. The men who came back, and their memories of their friends who didn’t come back. I can not imagine how hard it is for a man to watch another man die in front of his eyes: any man, a stranger, an enemy, but especially a friend, someone he worked and lived beside day after day. Like in Vietnam, many men returned with an anti-war sentiment. Many of them returned with PTSD, like my grandpa. Today, in honor of the men who died in service, people will go to the military gravesites and put flags on each grave. We will honor those who died in service, and those who died years later, like my grandfather, and my father, will also get flags on their graves. Some of those men who didn’t die in the war, will be like my grandfather. Like so many much younger men I’ve met who served in Iraq and Afghanistan getting treatment, because you see, I also have PTSD even though I have served in no war, they will have carried the scars of living for years in a warzone, like Tayo in Ceremony. Some of them will come home to families, like the men in my family who served. Others will be alone – one in three homeless men are veterans. Please remember them and their service today. Please give the benefit of the doubt to the man with the sign saying homeless veteran who is panhandling on the street, because he probably is a veteran. Remember our dead, and honor our living. ~ by Sumiko Saulson on May 27, 2013.